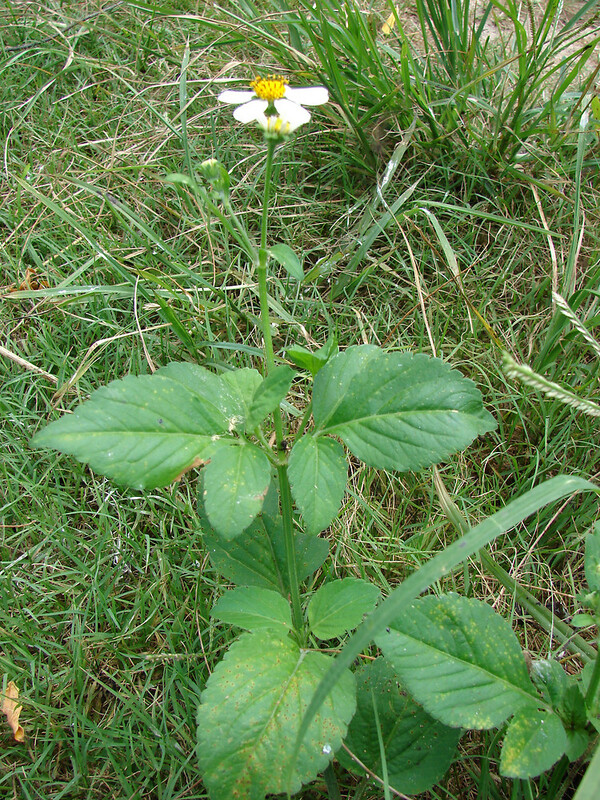 White beggar-ticks is an annual originating in tropical America. It has become invasive throughout much of the world. 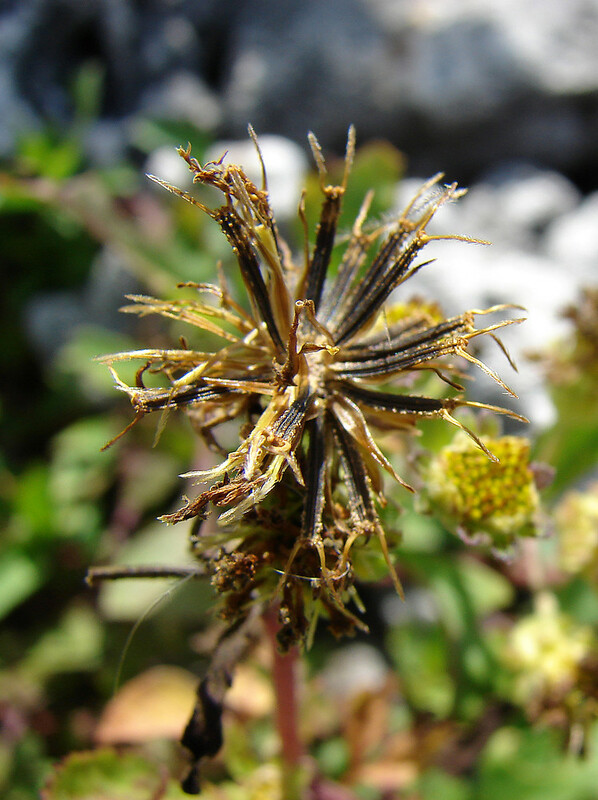 The seeds have long, barbed awns that aid in dispersal by clinging to clothing and fur. 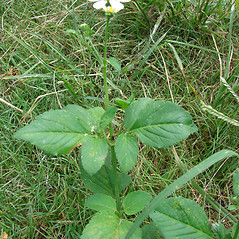 It is uncommon in New England, having been collected only in Connecticut and Massachusetts. 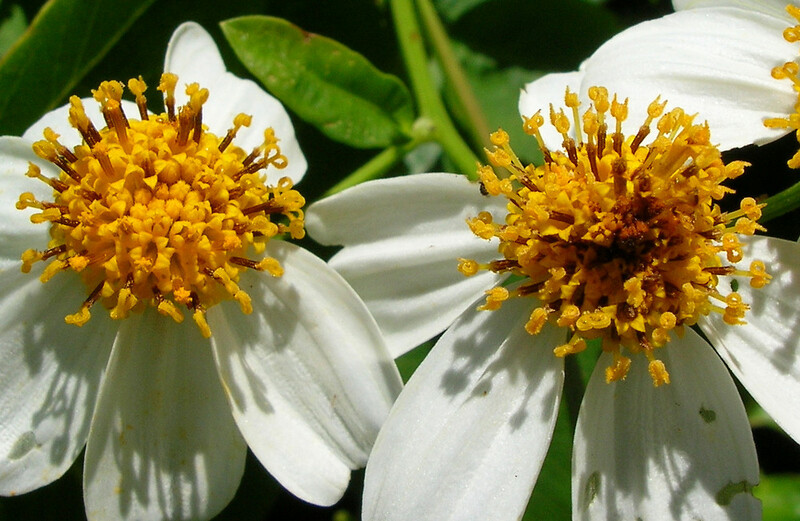 capitula without ray flowers or with short rays up to 3 mm and involucral bracts numbering 7-10 (vs. B. alba, with capitula with 5-8 ray flowers with well developed rays 5-16 mm long and involucral bracts numbering mostly 12). 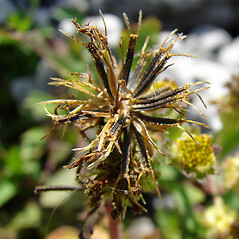 Bidens pilosa L. var. radiata Schultz-Bip. white beggar-ticks. 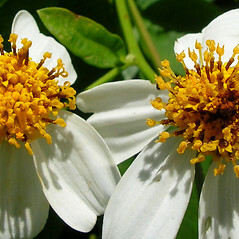 Bidens alba (L.) DC. var. radiata (Schultz-Bip.) Ballard ex T.E. Melchert; B. pilosa L. var. radiata Schultz-Bip. • CT, MA. Wool waste, disturbed soil.